New Recruit Handbook is something you should read. 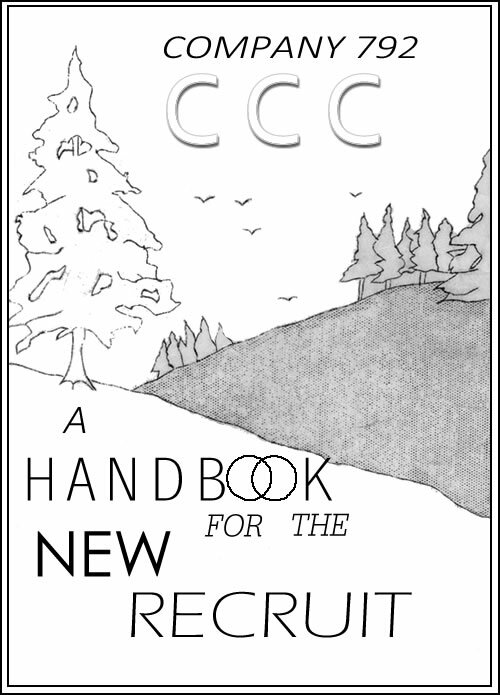 New Recruit Handbook - Reproduced from original donated by Dean J Talty to the Civilian Conservation Corps (CCC) Museum of South Dakota. Mr. New Recruit: You are a member of Co. 792, CCC, organized by the United States Government to furnish you with employment, to help conserve the country's natural resources and to give you an opportunity of preparing yourself physically and mentally for a more successful and useful life after you leave the CCC. Upon entering this camp you will find yourself part of a life which for a while may seem strange to you. 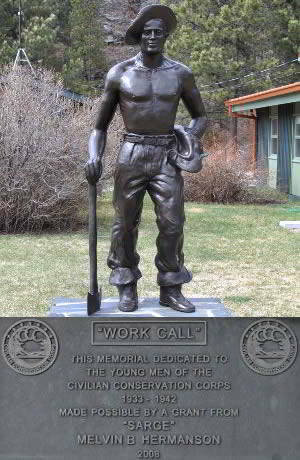 You will live and work with nearly 200 other men of about your own age, in this camp located in the Black Hills National Forest, fourteen miles from Historic Deadwood and within a mile of CBH National Park, where Roubaix Lake is located. This company of which you are now a member is one of the oldest and finest companies in the District. Besides having the outstanding record for fire fighting, tree planting, and other work projects it is also outstanding in sports and recreational facilities. 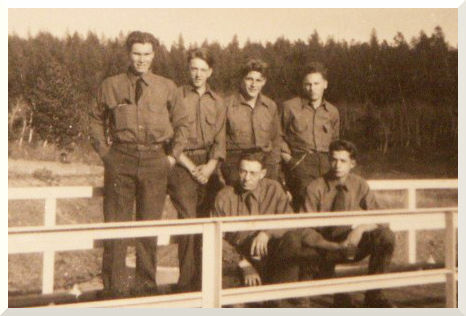 Thousands of boys have left CCC camps and gone into jobs which they could not have filled if it had not been for the training they received while in camp. Hundreds of the boys have been able to complete school work, while in camp, and to receive grammar school and high school diplomas. About one in six have been able to gain promotion to positions in the technical services. Others have become CCC officers and educational advisers. From Roubaix Camp, alone, many enrollees have gone out in employment and are today well established in various occupations as a result of education and experience gained here. Upon becoming a member of this company it is the responsibility of the company to properly clothe and equip you. You will be issued sufficient clothing from the supply house to cover all your clothing and equipment needs during your stay in the CCC. The supply steward makes every possible effort to see that the clothing you receive fits you. After being issued you clothing and equipment you will be held responsible for it. Only clothing or equipment that is worn out by fair wear and tear may be replaced. Anything damaged by other means will be charged to the individual and the cost deducted from his pay. Every three months each enrollee is allowed to check in worn out clothing for new. Therefore there is never any excuse for an enrollee that takes a reasonable amount of care of his clothing to at any time be in sufficiently or poorly dressed. Besides clothing, you will be issued a complete outfit of bedding. Every Friday morning you will change sheets and pillow cases at the supply house. Your sheets and pillow cases must be neatly and separately folded and every man must check in his own bedding. You will also be issued Canteens, Messkits, and any other clothing or equipment necessary for your physical comfort or performance of duty. You can read the entire handbook reproduction as a PDF file here. During the first few days of your life in Co. 792, you may find it difficult to accustom yourself to these new surroundings, especially if you have lived all your life in a town or city.